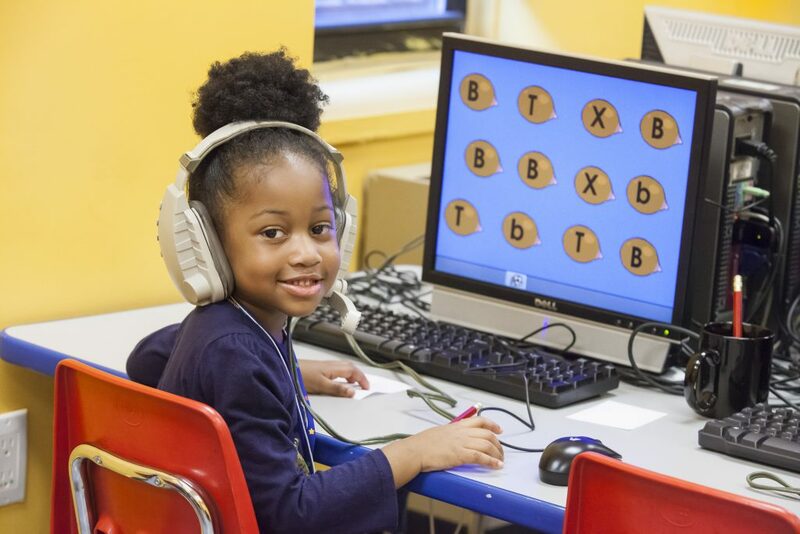 The Reading Team has just one goal: to ensure that all New York children acquire the skill of literacy, that all of them learn how to read and write. And they’ve devoted every resource they can think of toward that aim. Reading Team mentors receive professional training. Mentees receive much more than stories and books. Kars4Kids: Tell us about your founder, Maureen Rover. 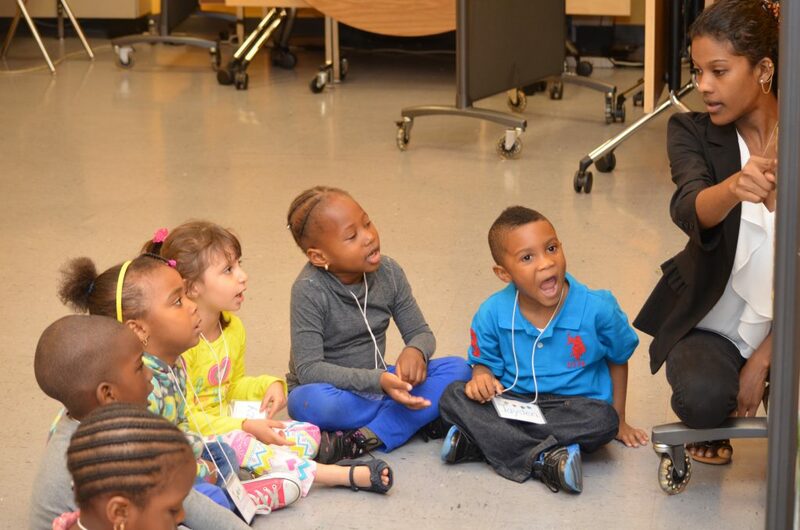 What makes a publishing executive decide to help ensure that underserved, minority children learn to read? David Marion: In the late 1990s, Reading Team founder Maureen Rover, a financial services and education publishing executive, learned that according to state test scores nearly a third of New York City’s school children were behind in reading ability when they entered third grade. She believes that literacy is a fundamental right, and she knew that when children are unable to read at grade level, they will struggle in school and in life. In 2001, Ms. Rover developed a unique instructional model for children ages 4 to 11, and the Reading Team opened its doors. For her work at the Reading Team, Ms. Rover was named New Yorker of the Week by NY 1 TV. She won the World of Children Education Award for 2017. She also was featured in a recent story about the Reading Team in The Wall Street Journal. Kars4Kids: Your staff Literacy Mentors receive training in the multisensory Orton-Gillingham reading program, which is normally associated with teaching children with dyslexia. Why is this training necessary for your Literacy Mentors? David Marion: The Reading Team uses the Orton-Gillingham method of reading instruction for all its kindergarten through second grade children and, to a lesser degree, for its older children as well. The Orton-Gillingham methodology uses phonetics and emphasizes visual, auditory, and kinesthetic learning styles. Instruction begins by focusing on the structure of language and gradually moves towards reading. 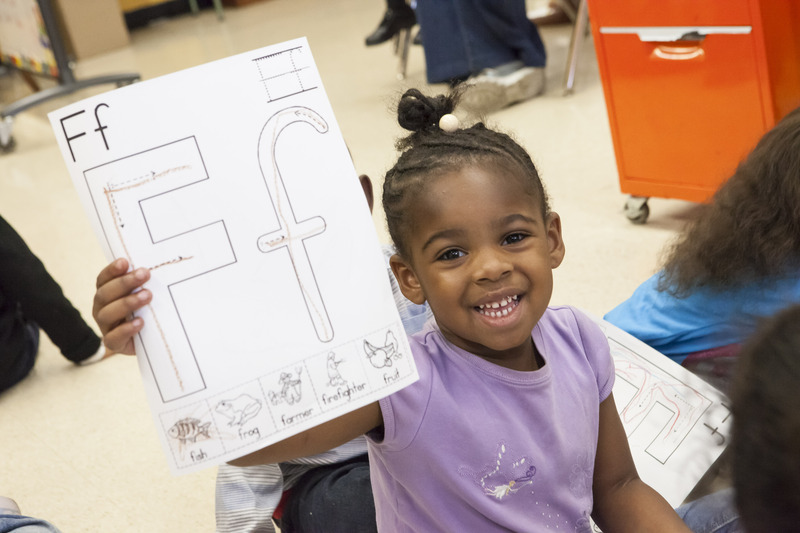 The program provides students with immediate feedback and a predictable sequence that integrates reading, writing, and spelling. The method is language-based and success-oriented – many consider it the gold standard. The student is directly taught reading, handwriting, and written expression as one logical body of knowledge. Learners move step by step from simple to more complex material in a sequential logical manner that enables students to master important literacy skills. This comprehensive approach to reading instruction benefits all students, not just children with dyslexia. 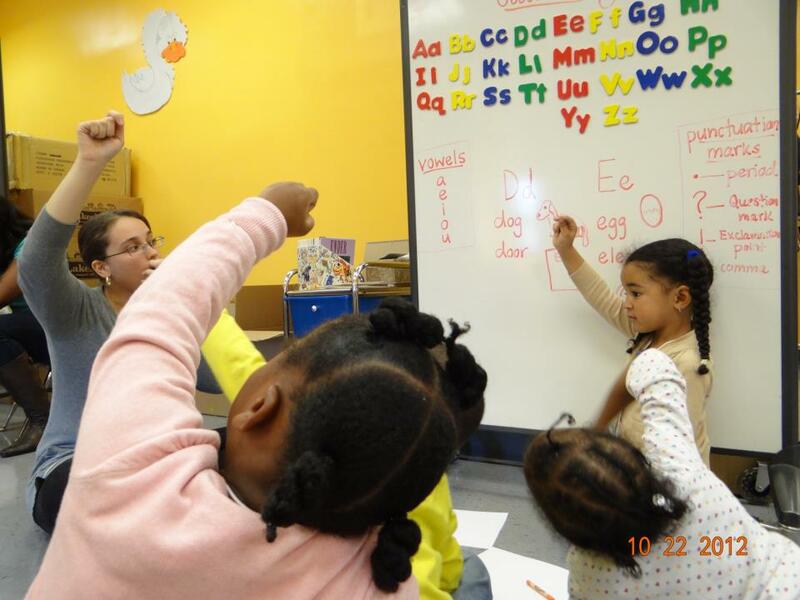 Kars4Kids: The Reading Team teaches children not just how to read, but how to write stories and essays. Why is this important? David Marion: Among our goals at the Reading Team is to enable children to think critically, express themselves confidently, and be prepared to reach their full potential in school, in college, and in a future career. Writing is fundamental to achieving these objectives. It is a means by which ideas can flow and an important framework for communications. As children progress through school, they will be required to write more often. Writing is used extensively in higher education, as well as in the workplace. Writing is also transformative. Educators know that the relationship between reading and writing is strong and when taught together confer benefits that are greater than when they are taught separately. Some years back, Amed, a boy who started in our After-School Program in kindergarten, struggled academically and emotionally. He did not like school. His grades were low. He exhibited disruptive behavioral issues that often landed him in the principal’s office at his school. He, nevertheless, kept attending our program. One year, for his final assignment, he wrote a story called “The Boy I Wish I Could Be.” It told the tale of a young student who always paid attention in class, studied diligently, behaved respectfully toward others, and achieved good grades. Soon thereafter, Amed began behaving and performing like the boy he wrote about in his story. Expressing himself in writing helped to transform him. Today he is an honor student and a junior at a local charter high school. Several times a year, he stops by the Reading Team to say hello to his teachers and our program director, all of whom are proud of this outstanding young man. Kars4Kids: How does Mindfulness Meditation come into what you do with the children in your programs? David Marion: Mindfulness Meditation gives children a way to calm themselves when unsettled, so that they can conquer behavioral blocks to reading acquisition. In our After-School Program, which serves Grades K-5, we incorporate Mindfulness Meditation directly into our lesson plans. Each day, our Literacy Mentors guide their children through 10 minutes of mindfulness activities to help them learn how to calm themselves when they are stressed. A growing body of research tells us that children who engage in mindfulness activities develop and strengthen their attention, calmness, impulse control, interpersonal skills, and executive function. Kars4Kids: What is the ratio of adults to students in your programs? Why the high adult/student ratio? David Marion: At all grade levels, we strive for a ratio of one instructor per six (up to no more than eight) children. Our instructional groups are intentionally small, so that every child receives the attention and recognition required for the brain to associate reading with enjoyment, and for each child to know that we take their ideas seriously. Kars4Kids: Tell us about your impressive metrics regarding your students and the New York State English Language Arts Exam (NYS ELA). To what do you attribute this success? David Marion: Each year, the vast majority of Reading children in Grades 3-5 pass the New York State English Language Arts Exam (NYS ELA). The NYS ELA is a test given annually to public school students in Grades 3-8 statewide. 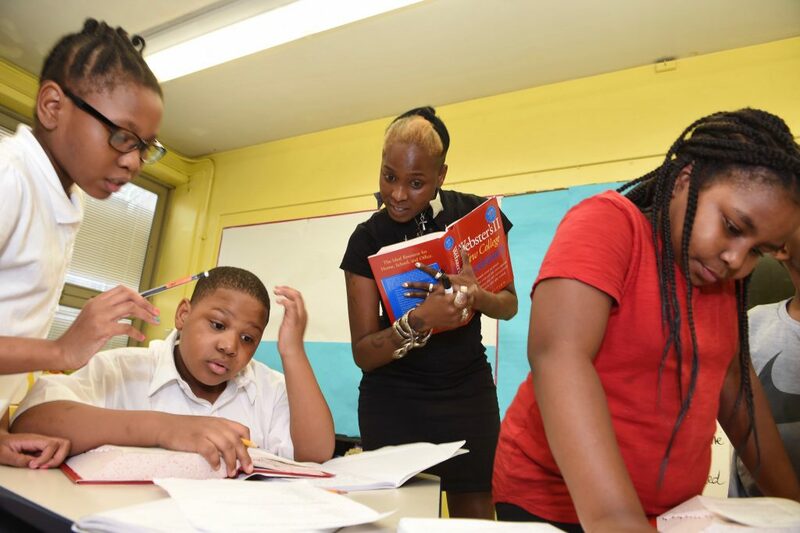 Last year, while only 29 percent of children in Harlem and just 40 percent citywide passed the NYS ELA, 81 percent of Reading Team children in Grades 3-5 passed this exam. The hallmark of the Reading Team is early intervention, before a lack of success in school dampens the children’s inherent enthusiasm for learning. Children who enter first grade ready to read will almost certainly learn to read; those who do not are likely to struggle with reading for years to come. The difference is one of opportunity, of preparing children to have a positive and successful introduction to reading instruction and to themselves as learners, to be able to solve challenges, manage others’ expectations, and compete equally with their peers. Our language-intensive environment features a high adult-to-child ratio, is caring and supportive, and accommodates diverse learning styles and instructional needs — “effectiveness factors” identified by Harvard University’s Center on the Developing Child. Reading Team instructors are not volunteers, but experienced teachers and graduate students of education whom we hire and train to implement our successful early-literacy curriculum. They ensure every child masters the building blocks of literacy success for reading and writing well. Our After-School Program is particularly intense. Every aspect of it focuses on children’s literacy success. This enables them to achieve considerable gains in reading ability and to make measureable improvements across the full array of literacy skills and concepts — oral language and listening; phonemic awareness and comprehension; print conventions and genre knowledge; grammar, punctuation, and spelling; analytical reading; research; and expository and creative writing. Importantly, we provide up to 540 hours a year over 36 weeks of focused literacy instruction – far more time than other literacy programs. 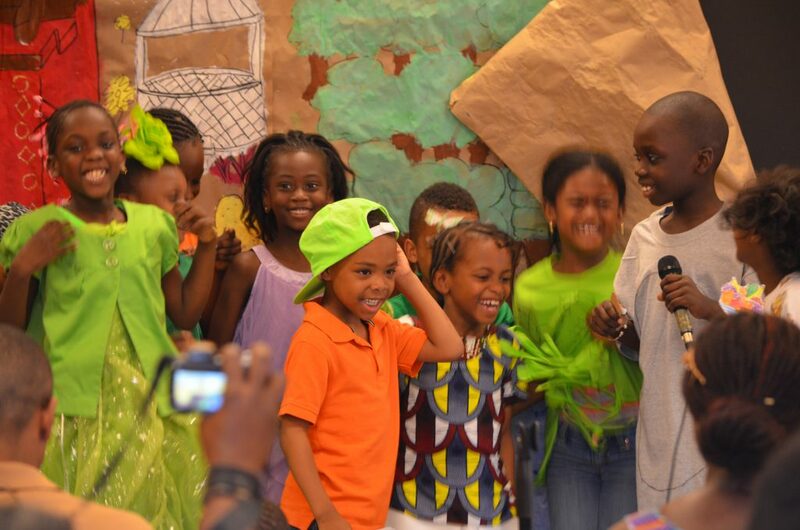 For children in our After-School Program, this translates to more than 3,000 hours of reading, writing, listening, and speaking over the course of their participation from Grades K-5. Kars4Kids: How much one-on-one instructional time do the children receive? David Marion: The amount of time a child spends one-on-one instruction with a Reading Specialist varies, depending on the progress the child makes. Our Reading Specialist is available five days a week during programming time to children who are struggling in their small reading groups. Children are assigned to our specialist for a period of time throughout the year to build academic strength, interpersonal skills, and self-confidence, and then returned to their small reading groups where they invariably begin to perform better. 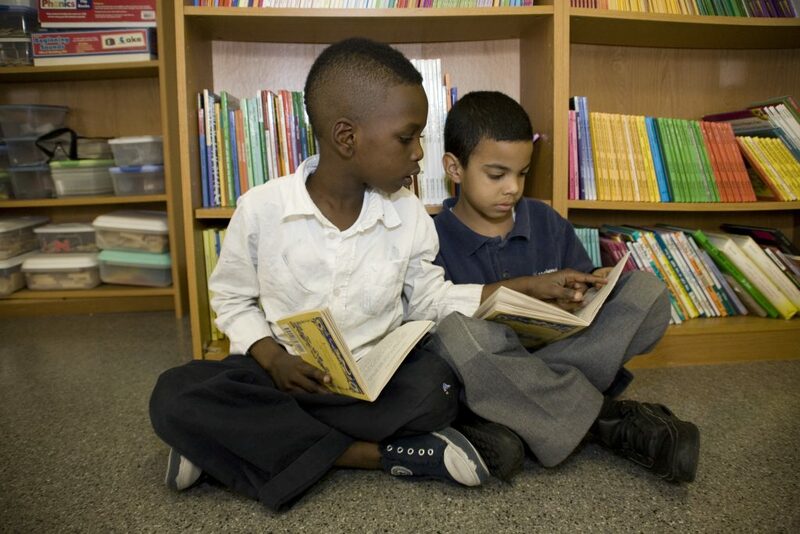 Kars4Kids: Children in your programs receive some 20 books a year to take home and keep. How important is this practice? David Marion: Extremely important. 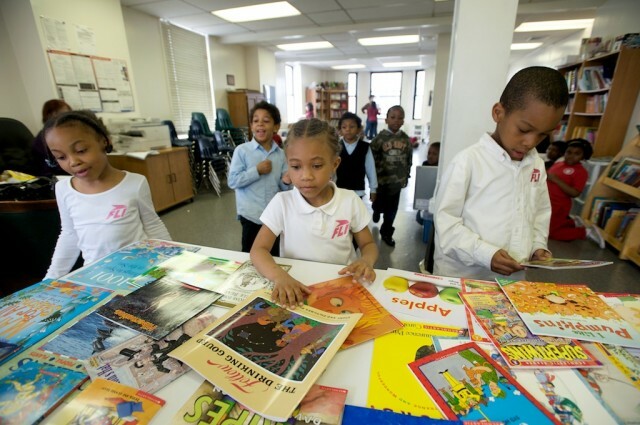 In an economically-challenged community like Harlem, many of the children we serve are growing up without books at home or easy access to a local library. This is why our free Book Distribution Program is especially impactful – and popular. Children can select up to 20 books a year to take home and keep. This encourages them to read and engage in educational activities at home, creating a vital bridge between classroom and independent learning. Kars4Kids: We see a lot of organizations giving children books to encourage literacy. But the Reading Team seems to go beyond that by gifting participants with reference books like dictionaries, illustrated encyclopedias, atlases, and almanacs. You also give students things like writing journals and globes. Why did you decide to give children these items, which must be quite costly to provide to so many—over 10,000 children in 18 years of operation? David Marion: In addition to not having easy access to a library or books in their homes, the children we serve in Harlem generally have a poor awareness of the world at large and lack basic knowledge of the world around them, i.e., their environment, community, and culture. Providing a range of supplementary educational materials helps them develop broader knowledge, introduces them to ideas, and fosters empathy. We are able to budget funds for purchasing these materials because we receive substantial in-kind contributions for books each year. Kars4Kids: What’s next for the Reading Team? David Marion: The need for the Reading Team’s early literacy services in Harlem is virtually limitless. Since our Preschool and After-School programs at our flagship site are at capacity, we have been expanding our services by bringing them to offsite locations. This year we increased the overall size of our Preschool Program by bringing it to child care centers in East and West Harlem. We launched a Family Literacy Program at McLaughlin House in East Harlem, which is serving the children and parents of young families that have aged out of the foster care system in New York City. We expect enrollment in this program to grow. We also plan to replicate our Preschool Program at two more offsite child care locations next year. Finally, we’re confident that enrollment in our After-School Program at Our Lady of Lourdes School will increase year to year. Since we opened our doors in 2001, the Reading Team has grown consistently. Funding is the chief factor restricting us from expanding more rapidly. This year, we beefed up our development team to enhance fundraising.